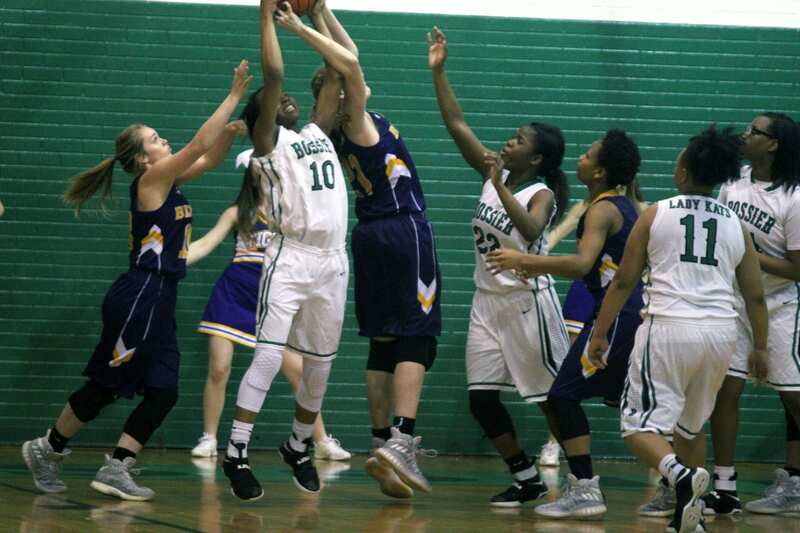 Four Bossier Parish teams made the LHSAA high school girls basketball playoffs. Bossier and Plain Dealing face district rivals in Thursday first-round games. In Class 4A, No. 17 Bossier (14-15) visits No. 16 Woodlawn (16-9) at 7 p.m. In Class 1A, No. 13 Plain Dealing (14-11) hosts No. 20 Haynesville (11-13) at 6:30. In a Class 5A first-round game, No. 30 seed Airline (14-14) visits No. 3 Destrehan (30-0). In another Class 4A game, No. 25 Benton (17-14) visits No. 8 Carencro (18-8) at 6. District 1-4A foes Woodlawn and Bossier faced off in the season-finale on Friday with the Lady Knights coming out on top 62-59. Woodlawn also won the first district meeting 60-47 at Bossier on Jan. 17. Plain Dealing defeated District 1-A rival Haynesville 60-46 at Haynesville on Dec. 20. The Lady Lions won the second district meeting 44-41 at home on Jan. 24. Airline faces a Destrehan team led by two-time Louisiana Gatorade Player of the Year Cara Ursin, a Baylor signee. The 5-foot-7 Ursin is also a two-time Class 5A All-State first-team selection. No Bossier Parish team made it past the second round last season.